If you happen to experience a very high fever that you don’t normally experience. 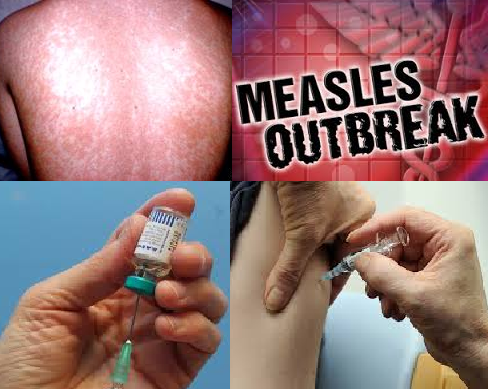 Or probably cough, runny nose and reddening of the eye, you might have measles. The rashes will start at the head and spread all throughout the body of the one who is infected. This is a very dangerous disease especially to the babies, as they are the ones who are usually affected. This could lead to much serious diseases like lung infection, pneumonia, deafness, brain damage, and even more serious, death. If your baby is affected with this disease, you must do something. Measles is caused by a virus that travels through air. It is a very light virus that can spread through coughs, sneezes or even sharing of foods and drinks. This is a communicable disease and it can be transferred by someone who has the virus to another. Normally, the virus is transmitted 4 days before the rashes start and also 4 days after the appearance of the rashes. And sometimes, someone who does not even know that he has already the virus unless the rashes appear. The best way to help someone recover the fastest with measles is proper home care. Someone who is infected should stay at home for two reasons: in order for him to get ample amount of rest and improvement of the immune system and in order for him not to spread the disease more. Someone who has already experienced having the disease could not have it again because of immunization. Vitamin A supplement is also good for those who are infected with the disease. This is due to the fact that vitamin A can help in improving the immune system and cell growth. Someone can get better in two weeks. Vaccination is also important in order to prevent it from getting acquired.